Time for another post! 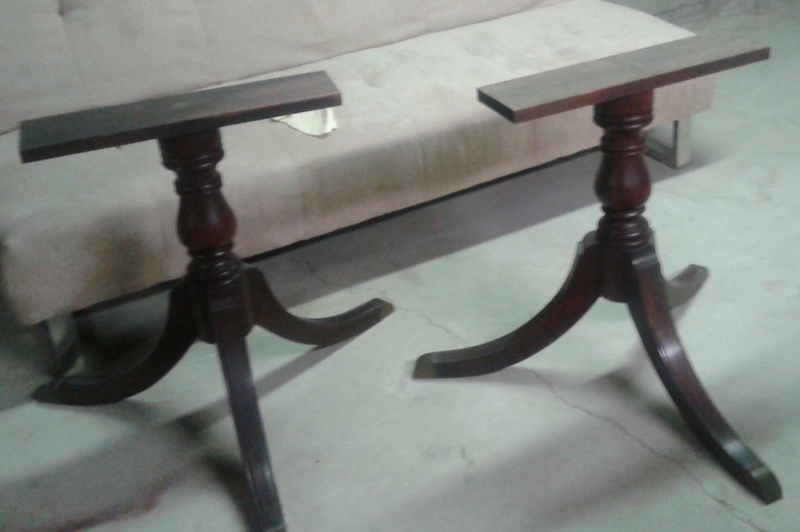 Well, this week I have been working on a new piece and I used the handy Furniture Bible to determine how to bring this antique dining room set back to life. Recently, I was given this set from my mother’s friend and It was her parents’ originally. Overall, it was in relatively good condition; however it was dinge and dull, so it needed a face lift. 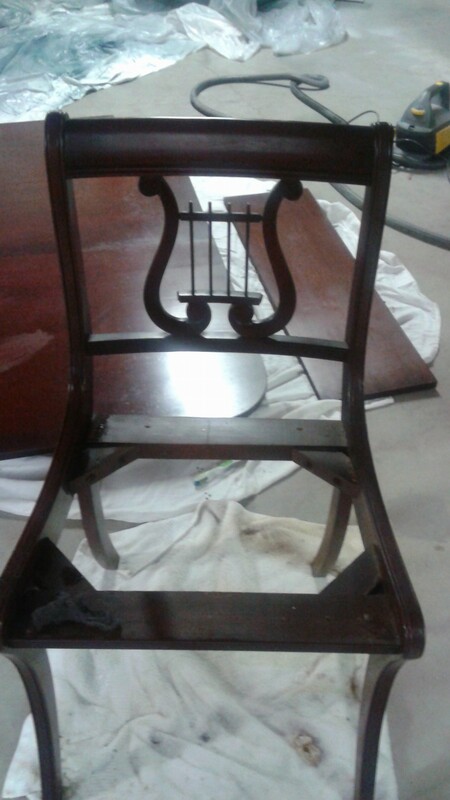 The chairs (see the picture) had a lot of detail, so I knew that stripping this piece was out of the question as the details could too easily get damaged. There were some imperfections in color and finish, so I couldn’t leave the piece as it was. SO, WHAT TO DO? Well, I flipped through the book and found this relatively easy recommendation. I will bring you up to speed as to where I am at right now and will update you as I go – since I still have some additional work to complete. Mix one part turpentine with 2-3 parts Tung oil. In a second bowl, fill it 1/3 of the way up with warm water (not hot) and place the turpentine and Tung oil mixture on top of it. Place your rag in the mixture and start to wipe/rub down your piece. You will want to follow your work with a dry rug to clean/dry the piece as you go. I have had to do this process 1-2 times on this piece. I still need to go back and complete this 1 more time on a few chairs and the top of the table. Once you get one piece clean, you will see what “clean” looks like and know what I am talking about! Once you have completed this process, let the piece dry overnight. At this point, the piece will look cleaner and the wood grains will definitely show more clearly.